An offering for you to take one a day, or a few day...or shuffle them together and set a series. Yin has space to flex up and make it work for you. Start a home practice right this moment! Its easy, start with 5 minutes and go from there.....first step before you see the staircase as MLK says! Bless up this specialseries that was shoot with my super sister of the shutter Leslie Kennah, you can peep her work here. Les and I went to Emily Carr together and have been friends for over 15 years. She is the super skills behind our video offerings and many of the photo series. BLESS up the Heartists! The epic art frames were created with the talented Sarah Freeberg. YES. Full Joy this series as an offering of the hearts and arts! Share your ideas and thoughts with a #newmoontofullmoonyin to share up. LOVE and LIGHT. Hey is a copy of the text postings on IG for the original series. Yinnies! Less excuses for this one of our #yinresolutions. This one can be done in your chair, on your mat or anywhere really! Take your right ankle to your left knee. If you are on your back, try placing the left foot on the wall, or grab the left thigh. Breathing while feeling will give you the info in your hips to decide if it's more or less sensation that is needed. Stay for some time and feel. You can also do this one sitting in a chair. Commit to small efforts to create change, just a small daily thing will make a massive difference over time #yinyoga #yinsights. Ahoy Yin Lovers! 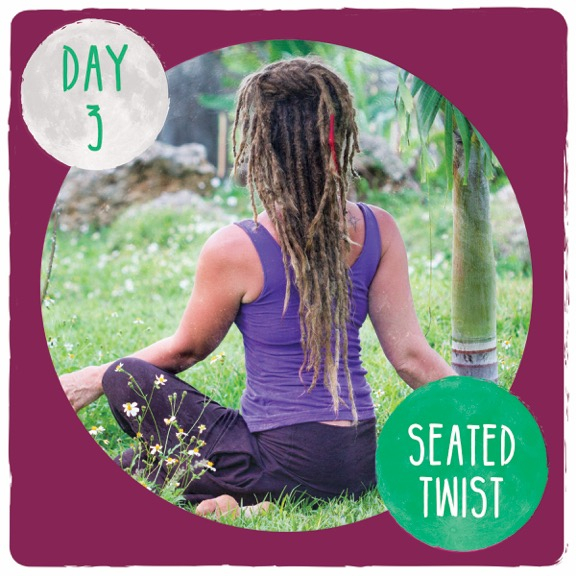 Today's#yinresolutions offering is a lotus or a cross legged seat. Sit today, find stillness and in a world of moving, shifting and swinging, be still! Spend at good handful of minutes on one side and then reverse the cross of the legs and spend time on the other side. Notice, take this time to travel the breathe around every corner of the body. Sit on a pillow to tilt your pelvis forward if your hips are tight, be mindful of your knees and let go of the things that no longer serve you. Each out breath will release a thought or judgement, like mind cleaning. Find even a moment of clarity. Remember who you really are. #meditation #yoga #yinyoga. 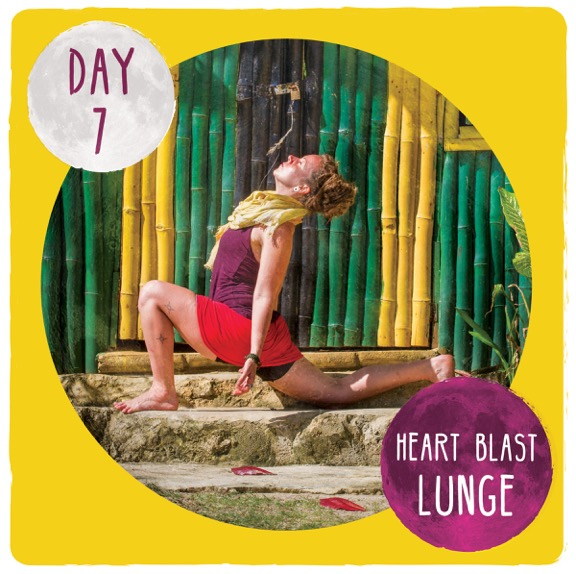 This wall squat for#yinyoga loving is excellent and adaptable medicine for the#yinresolutions. Doesn't matter high or low with feet or wider or more narrow. Adapt to make it work for you. Yin is more about the alliance you are building with you and your knowing, it's not about the look of the shape. Settle into your intuition And deep listening so you can be inspired to live the lessons of your yoga practice. Woot! 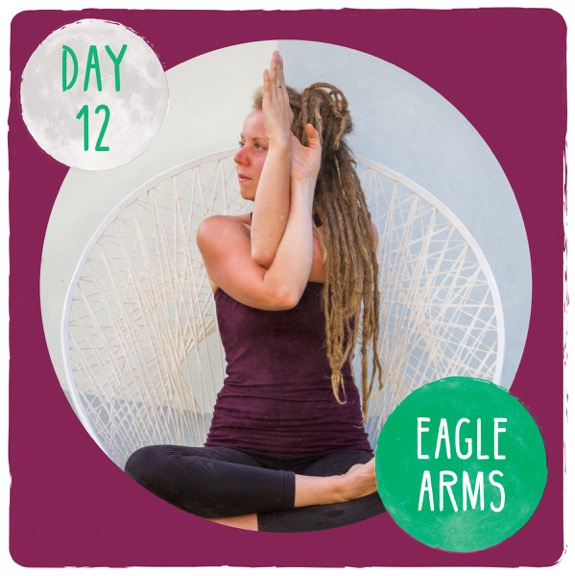 Happy 15 day journey from new to full moon, the first full moon of 2016! This last shape is one to really stir the pot to help liberate the things that don't serve you. In this shape, give yourself permission to growl and groan, swear if you want to! Instead of pushing down the big things that come up, Let them OUT! Give permission to your experiences to be the beautiful compost for this year's growth. Modify this shape by giving height to your hips or take a cross legged seat as an option. Do your best, but let stillness be the boss. #yinyoga love to you all!